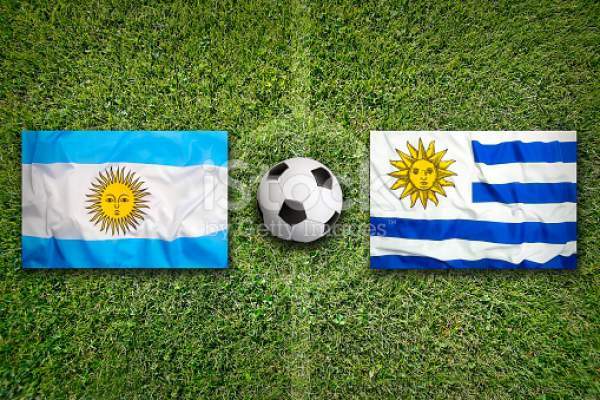 Argentina vs Uruguay Live Streaming: Today is one more football match in the FIFA World Cup 2018 qualification process. The fifth ranked Argentina will play against the third placed Uruguay on Thursday night in Montevideo. There are only four matches left and they will decide the qualifiers. Avoiding the fifth place playoff game, this is the ultimate game to boost the confidence of potential winner who would make it to Russia in 2018. Uruguay has earned 23 points and stands at 3rd while Argentina’s national football team is one place behind, but at 5th in the standings table. TV: beIN Sports in Spanish (USA). Earlier, it was uncertain for Luis Suarez to join back squad as he suffered a knee injury. But, he is back now and replaced Urreta. Urreta was originally listed but replaced due to an injury. Abel Hernandez has also been removed for the match. Uruguay Potential starting XI: Muslera; Pereira; Godin, Gimenez, Silva; Sanchez, Vecino, Rios, Rodriguez; Cavani, Rolan. Argentinean Manuel Lanzini and Eduardo Salvio are out due to injury. Emiliano Rigoni has been called as a replacement. Mauro Icardi may play over Sergio Aguero. Argentina Potential starting XI: Romero; Mercado, Fazio, Otamendi, Pinola; Biglia, Banega, Di Maria; Messi, Icardi, Dybala. The match marks the return of Uruguay’s star Luis Suarez. In return, it should mean it is closing to 2018 World Cup. Uruguay 2, Argentina 1.